Emani Fakaotimanava-Lui, managing director of RockET Systems, the company that manages the service, will travel to Kenya in late September to collect the prize and a development grant of $A7500. “This is a real thrill. The grant will also come in handy – enabling us to further improve WiFi access for our customers,” Mr Fakaotimanava-Lui says. He says the award also recognises the ongoing financial and technical support of The IUSN Foundation that funds Internet Niue from sales of .nu domain names, mainly in Sweden. Internet Niue provides its services free to the government and people of Niue. Customers pay only for the cost of a connection, which can be as low as $NZ25. As a result, the reach of the internet on Niue is understood to be the highest in the South Pacific, with about 90 per cent of the population having access at home and/or at work. Internet Niue’s award is for one of four award categories funded by the Information Society Innovation Fund (ISIF) – a joint initiative of the Canadian International Development Research Centre, the Internet Society and the Asia Pacific Network Information Centre (APNIC). DotAsia provides sponsorship. The fund received 46 award nominations for the four categories from 17 economies in the Asia Pacific. The grants associated with the awards are for internet projects that benefit users and communities in Asia and the Pacific. The category won by Internet Niue recognises its success over the last three years building local internet capacity and encouraging qualified locals to support the Niue internet community with a reliable locally-provided service. In 2008, The IUSN Foundation committed itself to the roll-out of its WiFi service to all villages on the island. Local company RockET Systems was contracted as the service provider. This followed the confirmation of the Foundation’s status as trustee of the .nu domain by the international internet regulator ICANN. In the three years since, the Foundation has invested $NZ1.47 million in Internet Niue – bringing its total investment on the island since 1999 to $NZ 4.1 million. The internet now reaches all except two small villages and is supported by a second satellite dish, installed early this year. The development of Internet Niue has enabled the people of Niue – arguably the most isolated nation on the planet – to connect with and participate in the outside world. It also enables the 20,000-plus Niuean diaspora to keep in contact with their home culture, their families and friends. The award will be presented to Mr Fakaotimanava-Lui at the Internet Governance Forum being held in Nairobi, Kenya from 27 to 30 September 2011. The forum ̵ a United Nations initiative ̵ brings governments, private companies, non-government organisations and internet managers together to discuss internet-related issues. Mr Fakaotimanava-Lui will be able to observe and participate in the forum itself. To read the ISIF media statement, click here. 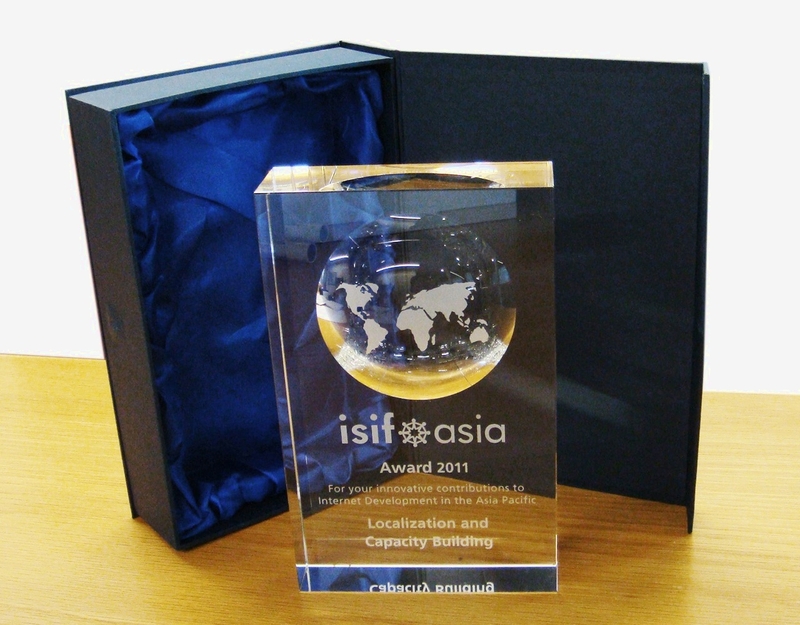 To see the ISIF video about the four successful awards, click here.